Foxes fan missed big game like Ranieri, en-route to Florida! Leicester fan Keval Nakesheree missed the title-clinching game just like boss Claudio Ranieri. The difference? He was at 10,000 feet, en-route to Florida with a holiday booked before his side had even won the league – though he owed the trip to Ranieri and co. The supporter, who banked £33,333 from his £5 each way bet placed in August was so confident his side would land the title he booked the family trip to Florida back in March when the Foxes first went odds-on for the title. 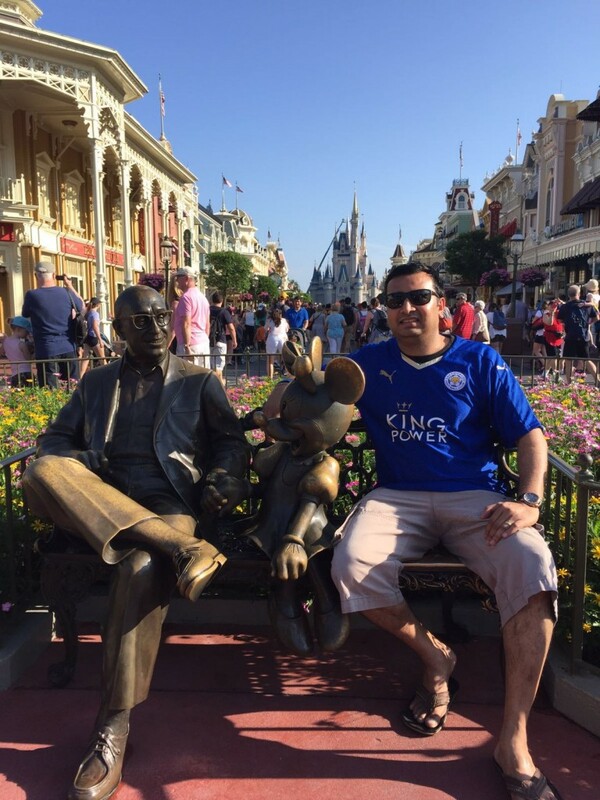 Disneyland and Leicester City – two places where dreams come true. Nakesheree, born in Leicester but now living in Gloucestershire placed two bets in his local Ladbrokes at the start of the season: £5 on Leicester to be top at Christmas at 1000/1, and £5 each way at 5000/1.